It is a widely-known fact that plastic contributes to environmental pollution. By now everyone is aware that plastics take more time to decompose, are more difficult to recycle and have caused a plastic soup in our oceans. But the situation is exactly the opposite in museums, where plastic objects in collections have become a matter of concern. While some plastics may never decompose, most of them are however subject to degradation – even in the short term. They discolour, become brittle and disintegrate, sweat and become warped, usually as a result of chemical processes. Drastic signs of deterioration are often already visible within 5 to 35 years. Sometimes an object’s original appearance is so radically changed that curators hesitate whether they should continue to exhibit it. Which is why the many different types of plastics, each with their own ageing process, require custom care behind the scenes. 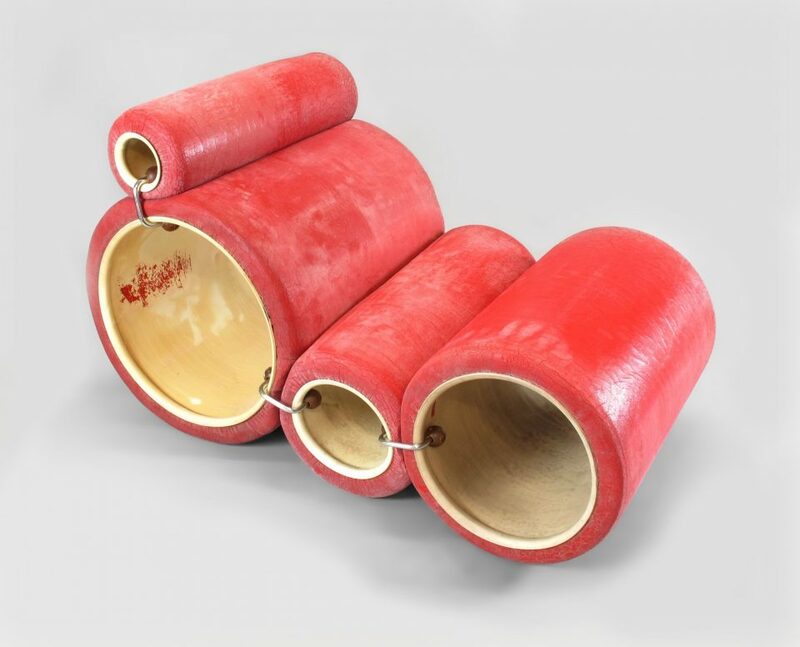 This box, which dates from the Thirties, was produced from phenol-formaldehyde, a plastic that is better known under the name Bakelite, which was developed by Leo Baekeland from Ghent. The object is discoloured as a result of exposure to light: the outside, which originally was the same dark green colour as the inside, has turned brown. Compared with wood, ceramics, silver or glass, plastics are a relatively new material in heritage collections. Design Museum Gent and S.M.A.K. jointly preserve approximately 4,000 objects that completely or partially are made of plastic, which is why they decided to launch a plastics project. Currently, museums often register this material as ‘plastic’ in their collection database. To ensure better monitoring of the plastics in our collections, we need to start by identifying them more precisely. That is why we are currently working on two terminology lists, for a more accurate designation of the materials and techniques used to produce these objects. We have also established definitions for all these terms as well as a uniform list in Dutch of different sorts of damage we see in plastics. This ensures that museum staff uses the same term and makes the same uniform assessment about the condition of an object in the collection. The American company Tupperware is well-represented in the collection of Design Museum Gent, with c. 400 objects. This Wondelier Bowl from the Sixties was made from polyethylene, which has started to harden and warp. We take a phased approach when researching which plastics were used for an object: first we start by examining the sources. If this yields no information, we undertake further identification by visual inspection, smelling the work, carefully touching the work and sometimes even on the basis of sound. For this part, we rely on The Cultural Heritage Agency of the Netherlands. In recent years, they developed a DIY method, which museum staff can use to identify plastics. 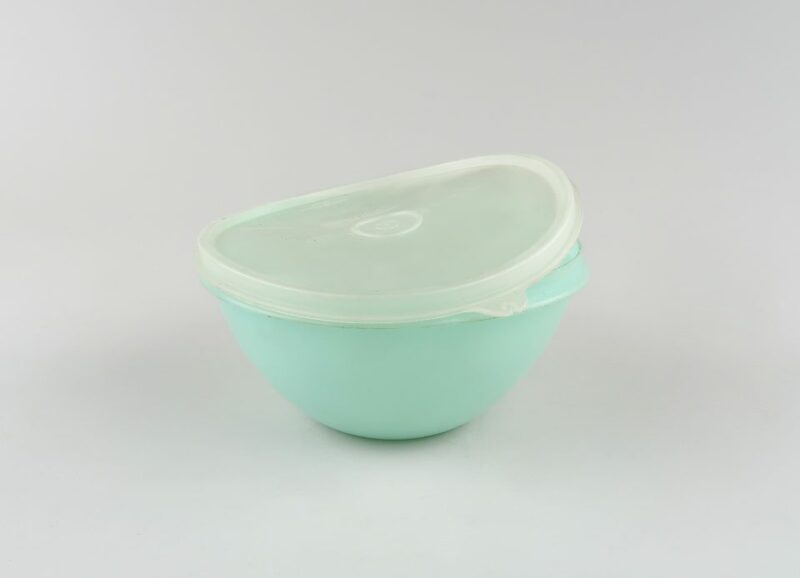 The plastic is identified by answering a questionnaire, comparing it with a case with samples, and by using your senses. The chemical analyses are performed by the Royal Institute for Cultural Heritage (KIK-IRPA). They have a lab and a database with plastics samples, which can be used as a reference. We will supplement their database with samples from this project. While identifying the plastic used, the staff also assesses the condition of all the plastic objects in the collection. They record this on a condition sheet for every object so they can better assess the impact of ageing during a future inspection. All the objects are also assigned to a care group, depending on the type of plastic used and the object’s condition. Different measures apply to each care group, e.g., regularity of the inspections and the renewal of packing materials, health risks for staff or the risk of unwanted damage to other nearby collection objects in the depot. 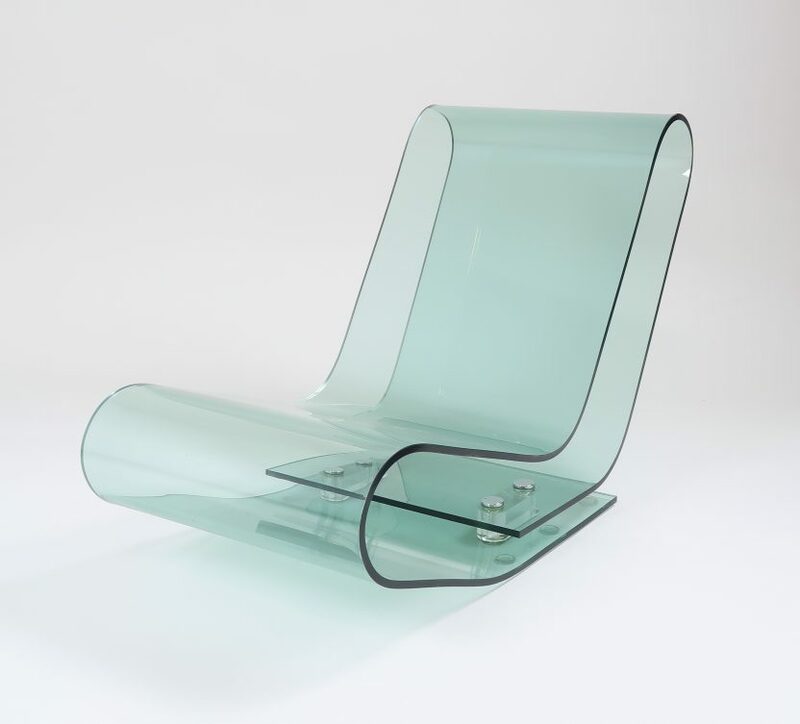 The Italian designer Joe Colombo’s Tube Chair was made from poly (vinyl chloride) tubes, which were clad with polyurethane foam. The polyurethane foam of this chair has discoloured, hardened and become sticky. With this project, we want to take better care of the plastics in our collection. Outside work, we are out there on the barricades with the climate activists. In 2014, we also sounded the alarm with our Plastic Garbage Project exhibition. But in the depot, our slogan is slightly different albeit just as loud: Save the plastics! 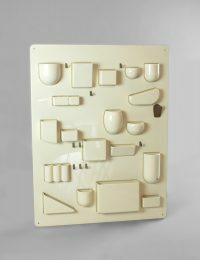 This research into the identification of plastics and the execution of a condition survey of all the plastic objects in the collections of Design Museum Gent and S.M.A.K. is performed in the framework of a three-year project with the support of the Government of Flanders. For further information, please refer to the project page on plastics or contact project staffer Eline van der Velde at eline.vandervelde@stad.gent.